Photos all over the place? Keep your image files tidy and create bonusprint photo books in no time with these file management techniques. Have you ever got ready to start creating a bonusprint photo book and realised you couldn’t find the images you need? With some clever file management, and by keeping the photos you love in one place, you can find photos easier and spend more time getting creative with your book. Getting into the habit of good file organisation might take some getting used to at first. 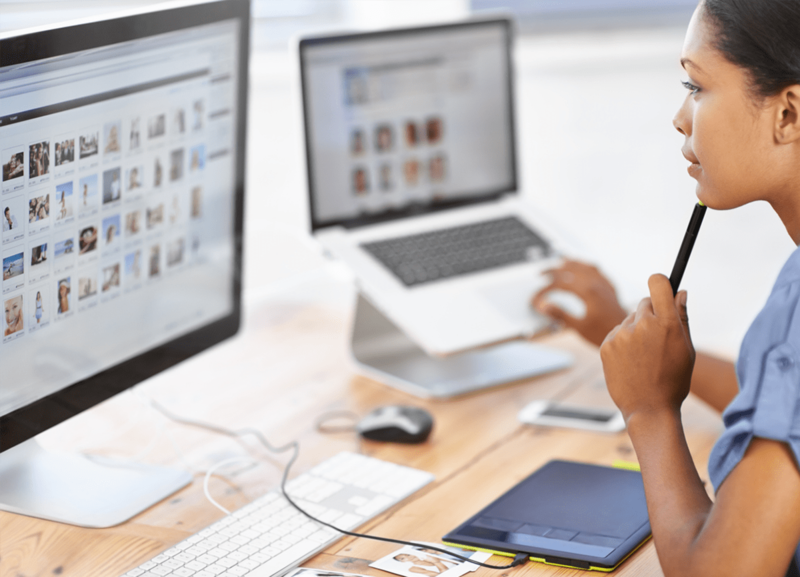 But if you start to include steps such as uploading, renaming and backing up your files into your photo workflow, keeping tidy image files will be part and parcel of any photo shoot eventually. If you’re not sure what a photo workflow is, it’s like a set of processes that professional photographers follow from the second they take their camera out to the moment they present their images. You can find out more about photo workflows in this blog on grouping your photos. We’re not just restricted to taking pictures on one camera anymore – we’re either snapping on our smartphones, tablets or DSLRs – so we’ve often got photos stored on lots of different devices. To make sure all your pictures are in one place and easily added to your photo books, it’s important to keep uploading them to one device to start with. You also need to back them up to cloud storage and an external hard drive if you have one. Check out the pros and cons of these storage options here. Great file management starts before you even take a photo, especially if you’re using a DSLR. To get into the habit of keeping your files organised, take a step-by-step approach. This will also help you create your own photo workflow. Use a process that works for you, but here’s an example of the steps you could take to keep your files stored safely and neatly. Make sure the date and time on your camera are accurate, especially if you’re travelling in a different time zone. 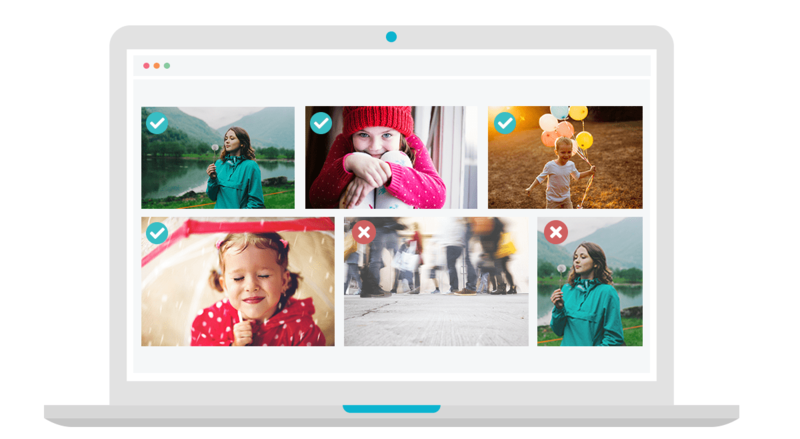 This will make it easier to sort your photos chronologically when you get back. If you’re shooting on your smartphone, it should update automatically when you’re away though. For anyone who prefers using a DSLR or a compact camera, you’ll need to update your settings manually. Sometimes if you change your battery, your camera will default to factory settings too, and it could record the date of your images incorrectly. So, double check your settings before you start shooting. 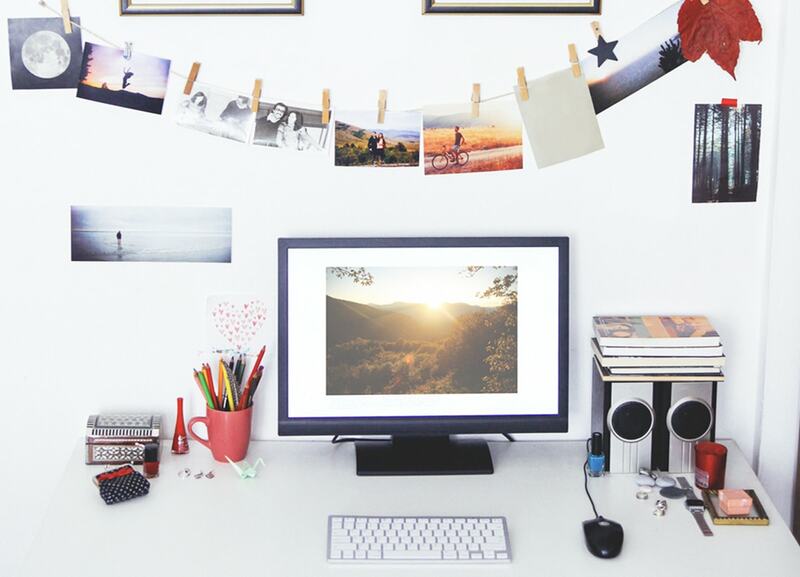 Put some time aside to upload all the photos you take across your devices and store them in one place. This could be your computer, cloud storage or an external hard drive. It’s best to include this as a step in your photo workflow, so every time you take new pictures, you import them as soon as you get home. If that’s not feasible, maybe have a photo sorting session once a month. But for holiday photos or pictures from a big event, try to sort your images as soon as you can. Avoid extra clutter in your image files by deleting pictures that didn’t turn out right. Run through your imported files, bin blurry photos and scrap any shots with your thumb over the lens. You don’t need to waste storage space on pictures you won’t use. Be selective too. You might have taken loads of photos of one scene to get the perfect shot, but only keep the one that turned out the best and get rid of the practice shots. Whether you want all your photos in one folder or several themed ones to store your photos in, create a naming pattern for your files and stick to it. When you’re backing up your files on another device or cloud storage, keep your naming system consistent on there too. It’ll make images so much easier to find if you need to use your backups. For suggestions on how to create consistent files, check out this post on naming tips. 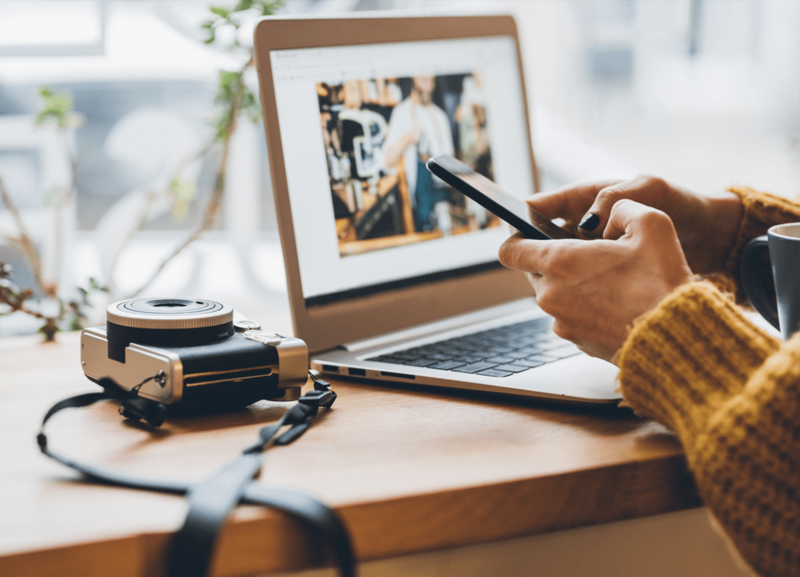 If you have hundreds of image files and want to keep them in cloud storage to save space on your device, here are some solutions you can try. It’s an idea to back up your images on cloud storage too, so if something happens to your device, your images aren’t lost for good. It’s a free digital asset management platform that lets you sort through image folders by tags, a rating system and image metadata. Adobe Bridge also simplifies the importing process from your camera, phone and card reader. You can rename your files in batches, and it’s great for storing loads of images. This is a cloud-based storage solution. It’s great if you often forget to back up files manually – when you use it with the Google Backup and Sync app, it can automatically watch image folders and upload them to a Google Photos account for you. When your pics are in Google Photos, you can view them clearly in a timeline, and there’s unlimited storage too. For Apple users, there’s iCloud. It’s free for an initial 5GB of storage, and if you need more space, there’s a charge. If you sign in to iCloud with your Apple ID once on each of your devices, you can automatically sync photos across all of them. Any new files you add to one device, will then be replicated across the rest, so you can keep everything consistent. You can find more storage suggestions here. And if you need extra tips on file management, check out the rest of our guides on photo organisation to keep your favourite memories stored safely and create beautiful photo books in no time.